When the summer months are coming to an end, and fall is on its way, you may notice problems start to appear with your air conditioner. Your AC has worked hard throughout the entire summer to keep your home at a comfortable temperature, so it’s not uncommon for it to have suffered from a little wear and tear. Even with annual maintenance, there are still some issues that can arise. All homeowners should be aware of the following malfunctions, which can happen to any type or brand of air conditioner. If you notice any of these issues with your AC, contact your local plumber as soon as possible. The faster you get the problem looked at, the less likely it is that your air conditioner will break down. As summer comes to an end, be sure to keep an eye out for these common AC issues. Over time, dust and dirt can collect on the outside of the condenser unit. Some of this debris can get inside of the unit and make a layer on the coils. When your condenser coil is dirty, your air conditioner can’t efficiently release heat to the outside. When this occurs, your AC will not be able to perform to its full potential, and it can malfunction. Your air filters should be cleaned or replaced once a month, but if you own dogs or cats, it’s recommended to clean them every fortnight. It’s easy to forget about replacing or cleaning your air filter, so if you have yet to clean it this summer season, a good clean is very overdue. When you have a clogged air filter, numerous problems can happen. If you’ve invested in a more expensive air filter, these should be cleaned every month and can last you for around three months. If your air filters are cheap quality, then they’re more likely to break and require monthly replacements. The capacitors are components inside of your AC unit that send electricity to the air conditioner’s motors. These motors have the important role of running the compressors and the fans, so when issues arise, it can be troublesome. If you expose the capacitors to too much heat, they can lose their ability to hold their charge. If the capacitors aren’t working, the motors can’t run, and the air conditioner won’t work. 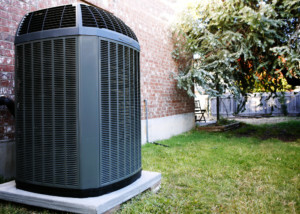 During the summer, the motors in your air conditioner have worked hard to keep your AC unit running efficiently. When it gets to the end of the season, the motors have had a lot of strain put on them, which can cause the motors to burn out. This issue is a lot more likely to happen if your system is over ten years old. Your air conditioner consumes a lot of energy, so much so that it needs its own circuit breaker. You can temporarily lose power when the circuit breaker trips due to there being too much strain on the air conditioning system. Although summer is over, we’re still getting a few hot days. You don’t want your air conditioner to fail you when you need it. When you have your air conditioner installed, the technician should take care to ensure that your unit has the correct amount of refrigerant put inside. Your AC unit can suffer from wear and tear, and if you have low coolant levels, you may end up with a leak, which you’ll need to get repaired. A refrigerant leak comprises the AC’s cooling ability and causes damage to the compressor. When you have low refrigerant, it can also cause the evaporator coil inside of your AC unit to freeze. When your evaporator coil freezes, other components will have to work a lot harder. It can also cause extreme damage that is not repairable. If you have any problems with your AC don’t hesitate to Lightfoot Mechanical right away.